On March 21, 2017 GoTriangle posted this propaganda video on YouTube. It is loaded with misinformation. 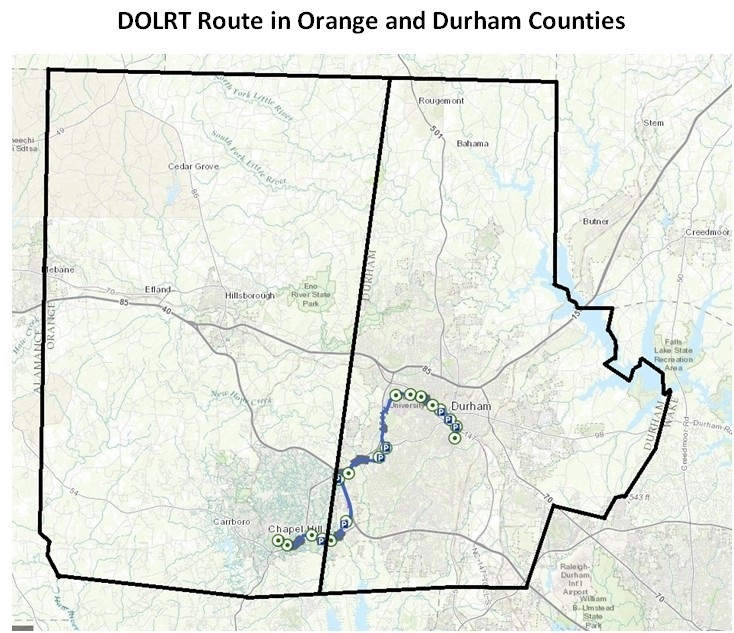 1:10 "In 2011 and 2012 voters in Durham and Orange Counties approved an additional investment in transit through a 1/2 cent sales tax to complete a plan that includes more frequent bus service in both counties. 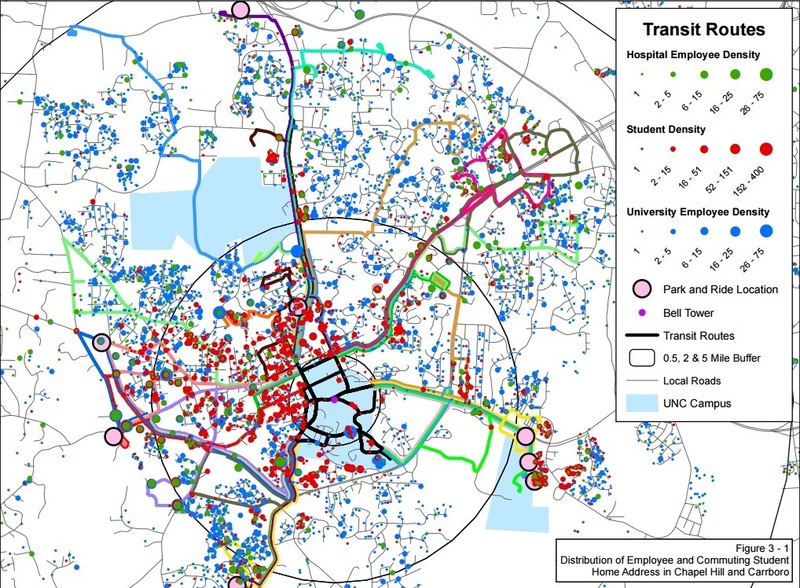 The voter approved plan also includes constructing the Durham-Orange Light rail ... 17.7 miles transit project with 18 stations between UNC Hospitals and NCCU. It will offer a congestion free alternative and enhance transit to provide better connection to jobs, education, and medical centers." 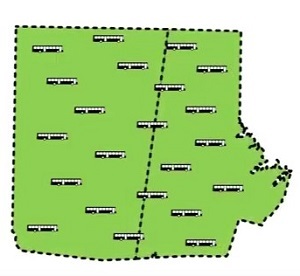 The drawing on the left shows 22 bus icons scattered evenly across both counties ... implying that there will be a lot more bus service and that the entirety of both counties will be served. This is false. What the video doesn't explain is that the sales tax increase is woefully short of what it will cost to pay for the light rail line. In order to pay for the DOLRT, funding will have to be cut from existing bus lines and other projects (schools, green ways, affordable housing). Read this January 4, 2017 Chapel Hill guest column that I wrote. 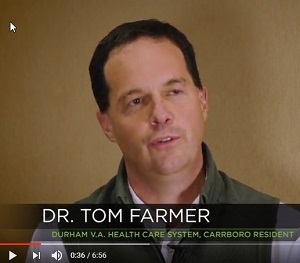 0:36 Contrary to the video, Dr. Tom Farmer does not live in Carrboro. He lives on North Elliott Road in Chapel Hill. He walks from his house to Whole Foods (a quarter of a mile away) and takes a bus to Durham. If he intends to use the DOLRT, he will have to take a bus plus the DOLRT, because the nearest DOLRT station to him will be Gateway. That will lengthen his commute. 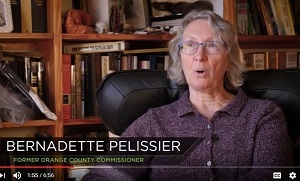 1:55 Bernadette Pelissier lives in rural Orange County. What's the probability that a rural Orange County resident will use the DOLRT? Answer: virtually zero. That sentiment was voiced over and over again by the public at the March 7, 2017 meeting of Orange County Commissioners. See this web page which has links to all the public speakers. 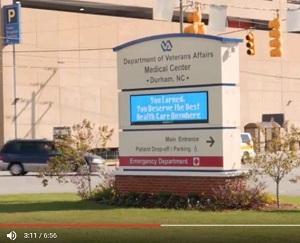 3:08 "It will serve 3 major medical centers (UNC, Duke, and VA Hospital)." This is true, but why, then, aren't those medical centers paying for the DOLRT? The answer is simple: "Why should they if they can get Orange and Durham County voters to pay for it?" 3:34 "We need to decompress our parking lot." UNC, Duke, and the VA Hospitals skimp on parking. To them, the DOLRT offers a no-cost-to-them park and ride facility. 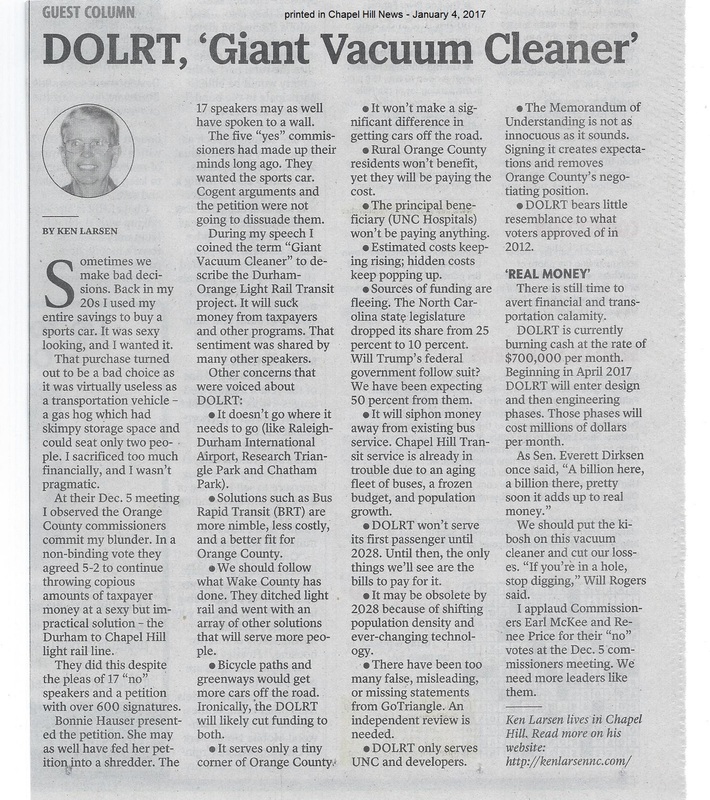 They don't care that the huge cost of DOLRT ($ 2.5B and rising) will fall on Orange and Durham taxpayers. 4:00 Unless you live within a quarter mile of a station and your destination is also within a quarter mile of a station, you're not going to use the DOLRT. 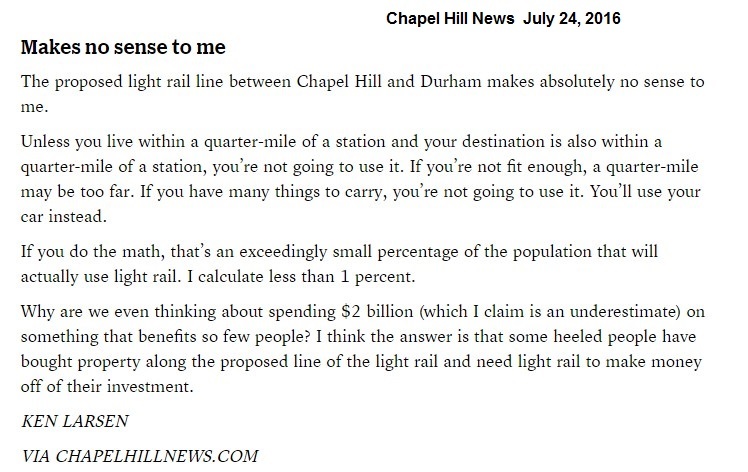 I documented that in this July 24, 2016 letter to the Chapel Hill News. 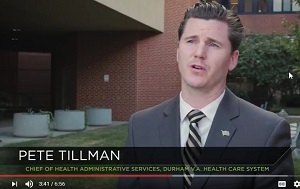 A Durham restaurant owner is shown explaining how the DOLRT is "incredibly important for business owners in Durham." It will help get her staff to work. Is she going to move them all to within a quarter mile of a station? She herself lives in Hillsborough. Gentrification along the DOLRT will significantly decrease the opportunity for low income workers to live near it. The scene at the left shows traffic on I-40. 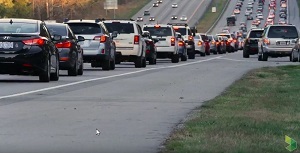 The DOLRT will not reduce traffic on I-40. 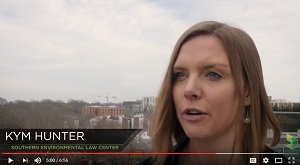 5:00 Contrary to what environmental lawyer Kym Hunter says, DOLRT will have a negative environmental effect. This is also attributable to the at-grade crossings. One of the worst of those at-grade crossings will be on Farrington Road. It currently has horrendous traffic problems [details], yet that (Leigh Village) is where they want to add density. Leigh Village is near the head waters of Jordan Lake. Flooding and water pollution will surely follow. Kym lives in my neighborhood of Briarcliff in Chapel Hill. The nearest station to us is 2+ miles away, and our neighborhood has no bus service. We'd have to walk or take a car to get to the DOLRT. Most people in our neighborhood will just continue and use their car. Kym told me that she used to live in Washington DC and would routinely walk 3 miles to use their light rail system. How many people will do the same? Answer: virtually no one. 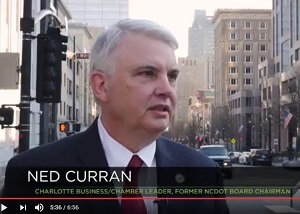 5:24 "... successful systems include Charlotte..."
6:00 The video doesn't tell the viewer when the DOLRT will be completed. It will take until 2029 based on current estimates. By that time, it may be obsolete because of changing growth patterns. Also, people may become more attached than ever to cars because of the arrival of driverless car technology. 6:10 The voice-over says that connections will be made to RTP, RDU Airport, and Southpoint Mall. When? We'll be paying off the debt just for the 17.7 mile long DOLRT until 2062. Orange County should have done a better job negotiating the Orange County-Durham County financial split. Orange County has agreed to pay 23% to Durham County's 77%. A fairer split might have been 5%-95% considering that only UNC will benefit in Orange County. DOLRT goes by two neighborhoods (Meadowmont and Downing Creek), but neither one of them want it due to at-grade crossing and parking issues. Downing Creek lost this debate.